This is a blog about food, drinks and their ingredients. However, as Chinese society, including its economy, is organized in a very unique way, it is useful to get more insight in its basic structuring. 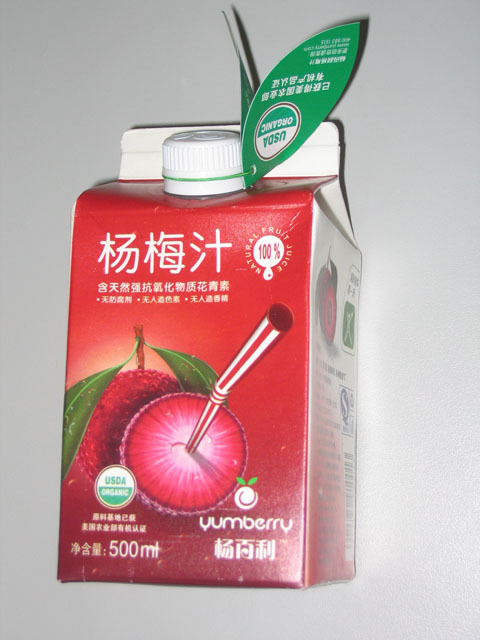 In fact, several aspects of that structure have been mentioned indirectly in various posts, in particular those about Mengniu Dairy and Yanjing brewing. An important type of context is the industrial sector. Chinese economy is divided in a number of industries, headed by a central ministry or organization with ministerial status in Beijing. Each province and autonomous region has a Department corresponding with the central organization. Lower administrative regions have, again corresponding, Bureaus. Chinese usually refer to this as the system (xitong) to which they belong. According to the official parlance, a state-owned enterprise is the property of the entire people, but the central administrative organization of its industrial sector has been given the power to manage the enterprise in the name of the people. The central organization will then delegate that power to its corresponding lower level organization. Those organizations also establish and operate schools and colleges related to their sectors. 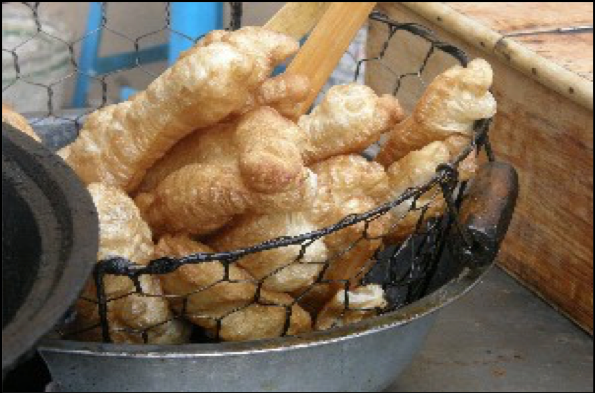 An example will help clarify the situation: food manufacturing is typically regarded as Light Industry in China. 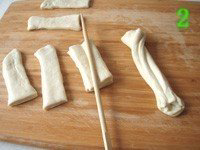 A state-owned flour plant in Suzhou (Jiangsu), will therefore be typically managed by the municipal Light Industry Bureau, which will report to the provincial Light Industry Department, which operates under the China National Light Industry Council in Beijing. This is the reason why so many company names in China start with the name of the city or province in which it is located: it refers to the main governing body. 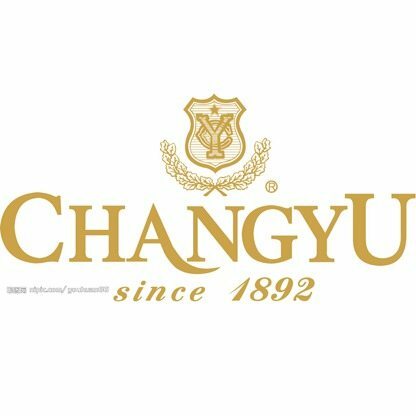 I have mentioned the Changyu Winery in earlier posts. Its official name is Yantai Changyu Wine Group, which indicates that its CEO is typically reporting to the government of Yantai Municipality in Shandong province. The value of the place name in a Chinese brand name is attested by the story of Yanjing Brewing laid down in an earlier post. Located in Shunyi County, the brand name originally envisioned was Shunyi Beer, but a ministerial official proposed to change it to a name that was related to Beijing. As Beijing Beer already existed, it became Yanjing Beer. There are also dedicated light industry colleges like the Zhengzhou University of Light Industry. 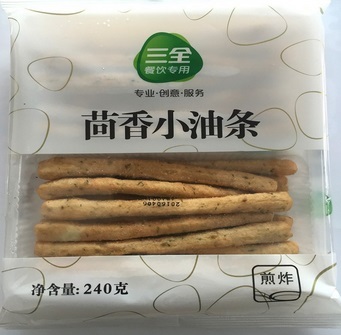 As attested by several posts in this blog, Zhengzhou is located in one of China’s major food producing regions, the home of, e.g., China’s top snack producer Sinian. 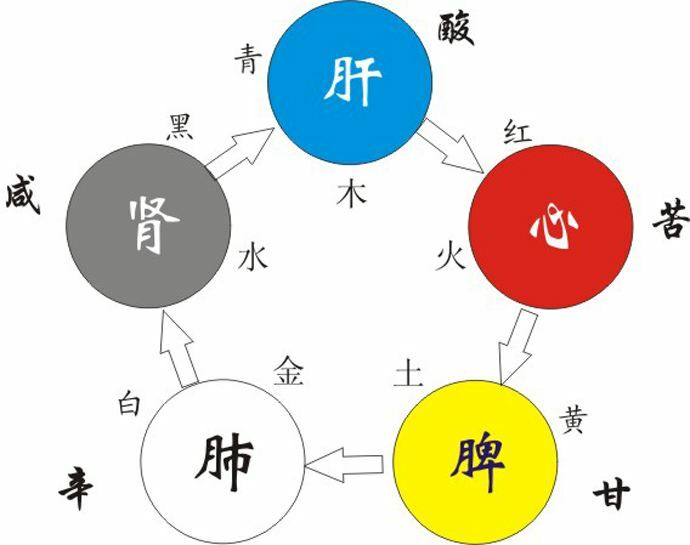 This way of organizing creates a kind of matrix structure in which a Chinese company has to account for its activities and results to the local government, but simultaneously to its sector organization. To stick with Changyu, it is accountable to Yantai Municipality and the Light Industry sector. These two merge in the Yantai Municipal Light Industry Bureau, but it can happen that the provincial or national Light Industry organizations contact Changyu for information about its operations. In the current stage of the development of China, this structure does no exercise a huge influence on issues related to production or marketing and sales. Larger state-owned companies are still affected in the field of human resource, in particular in filling the positions of top managers. Leading functions in companies like Changyu are usually appointed by the organization on the Ministry of Personnel, which also has branches in provinces, cities, counties and other administrative levels. The Party organization is also involvement in such appointments. Nowadays, only people with proven expertise and experience in the field will be considered for appointments of top functions in state owned enterprises, but the political aspect remains. This means that the social networks of the top executives of Chinese companies exercise considerable influence on the day to day managed of the enterprises. The combination of the various stakeholders to which a Chinese enterprise is accountable and the social network can be called: the social embeddedness of Chinese companies. Insight in the affiliation of a Chinese enterprise is vital for Western companies who are seeking or have engaged in partnerships with Chinese counterparts. Too often, Western managers believe that their Chinese partner is ‘a company just like we are’ and that the CEO of the Chinese partner has ‘the same responsibilities as I have’. They aren’t and they don’t. 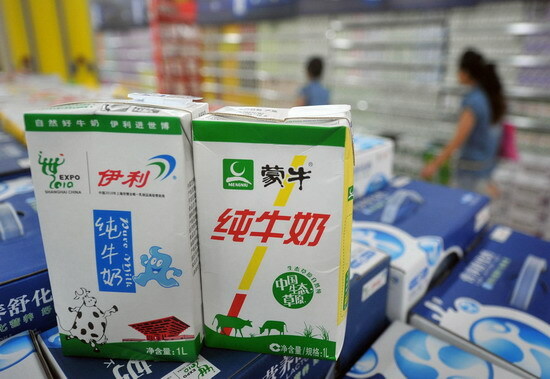 Such misunderstandings will certainly play a role in the problems of companies like FrieslandCampina or Fonterra in China recently reported in the media. The theme of this blog, food, drinks and ingredients, involves a complex situation, as the manufacturing of these three product groups is dispersed over more than one sector. Light Industry is definitely the largest one, but a number of food companies, in particular those using primary agricultural produce as raw materials, are operating under the Ministry of Agriculture. A special type of companies under Agriculture is State Farms. This name is based on the fact that the first of such companies were large state-owned farms established in rougher regions with no existing agriculture or other economic activity. These farms later also established processing plants of their own. A small number is part of the hierarchy of the Ministry of Commerce. The latter is in charge of distributing goods rather than making them, but in the early decades of the PRC, that ministry also established production units. An industry that is very disperses over those sectors is dairy processing. Interestingly, FrieslandCampina and Fonterra mentioned above are both dairy companies. As Chinese ministries (try to) keep track of the industrial statics of their respective sectors, the regularly publish compilations like the top 10, 50, 100 manufacturers of a certain product or sector. The China National Light Industry Council recently published the Top 50 Light Industry companies of 2017. I will list the top 10 in this post. From this list it is obvious that food, drinks and ingredients are the major sector of Light Industry in China. Actually, it covers a broad range of products, like: toothpaste, detergents, brooms, toys, etc. However, the Top 10 and in fact the entire Top 50 consists of food companies. Regular readers of this blog will recognise several of the companies in this list. 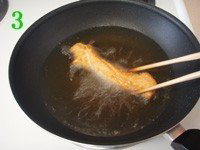 As mentioned above, universities also play an important role in the development of the Chinese food industry. Their role is so vital, that I have dedicated a special post to them. The history of Yanjing Brewing’s founding and early growth provides a fascinating insight in the social embeddedness of Chinese enterprises. This post is derived from a case study in one of my academic writings: Chinese Corporate Identity. Readers who are triggered to get a deeper understanding, please read that chapter, or better: the entire book. Yanjing, literally meaning ‘the capital of (the state of) Yan,’ is derived from Yan, the name of an ancient kingdom located just south of present day Beijing. Before the unification of China in the Qin dynasty, China was divided in a number of small states with a king, duke, or other feudal nobleman as its leader. The influence of these states on the construction of local cultures has been so strong, that many of their names are still used today as an indication of the origin of a company or government organization. In modern usage, Yan is often combined with the name of another ancient state: Yan’s southern neighbour state of Zhao. The compound Yanzhao seems to refer to Hebei province, in particular Hebei’s capital Shijiazhuang. A local newspaper, e.g., is called Yanzhao City News (Yanzhao Dushibao). The case history (see below for the details) will show that the suggestion to change the brand name of the new brewery into Yanjing Beer was made under similar circumstances. Beijing Beer was already used as a brand name by the Beijing Brewery, which was located in Beijing and carried the word ‘Beijing’ in its name, but was tightly connect to the State, rather than Beijing Municipality. Yanjing Beer then offered an ideal alternative for ‘Beijing Beer.’ Interestingly, there is another example of a Chinese food brand referring to the Chinese capital. 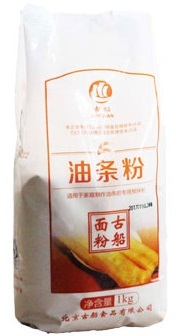 In the post on instant noodles I am reporting about Nanjiecun (Henan) that is marketing a new type of noodles under the Beijing brand, to give the product a high-end feeling. For each period, the average increase of the beer output is indicated as the first parameter of a period. Yanjing evidently strongly anchors its self-perception in its core business: brewing. Yanjing’s story starts by stating that it was originally established to relieve the beer shortage in Beijing. 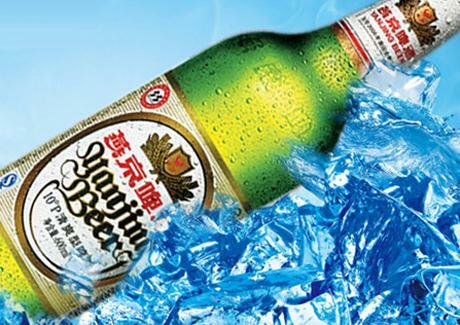 At the eve of the economic reforms, beer was still regarded a luxury good in China. Chinese drank the traditional distilled liquor, called white spirit (baijiu) in Chinese, with their meals. Wine was hardly produced and most Chinese wine was very sweet, which made it less suitable to accompany meals. Beer was served in hotels and restaurants, but production was often insufficient to serve the total populace. Yanjing is positioned in its annals as the result of the combined effort of an impressive number of parties. The following bullets list those parties and their role in the founding of Yanjing Brewing. State Council: Praise by vice-premier Wan Li in RMRB after visit to Yanjing on 19.5.82; visit by another vice-premier Chen Muhua on 12.4.86. By 1988 Yanjing had already attained a share of 30% of the Beijing market. Some people in the Beijing government were sceptic about the expansion of the local brewing industry. They estimated the Beijing market at maximum 200,000 hls p.a., which was less than the combined capacity of the region’s three main breweries. Yanjing’s management calculated in a different way. They took into account that the per capita consumption of beer would increase considerably and therefore estimated the total local market at 500,000 hls, more than double the official estimate. The port city of Tianjin, like Beijing, is a city with provincial status. The regions of Beijing and Tianjin municipality are almost adjacent and the two can be regarded as twin cities. Hebei is the province surrounding the regions of Beijing and Tianjin. In fact, from an economic point of view, Beijing and Tianjin are cities located in Hebei, though directly controlled by the national government. Linguistically, geographically, culturally, etc., it is one region (Yanzhao). The following table shows Yanjing’s upward march to the number one Chinese brewery. By 1995, Yanjing had a 70% share in Beijing. Another feat of Yanjing achieved in this period was raising the percentage of its output that it was allowed to sell directly to customers. In the old command economy, state owned enterprises had to sell 90% of their output through state regulated sales channels, controlled by the Ministry of Commerce. Yanjing’s management wanted more freedom in this respect. The request was granted and Yanjing received a license to sell 50% of its output itself. This period starts with the designation of Yanjing Beer as the official beer served at state banquets in the Great Hall of the People in February 1995. It is an honour of symbolic value, which once more suits Yanjing’s identity of state owned enterprise that is proud of that status. In that year, Yanjing replaced Qingdao as China’s number 1 brewery. Yanjing was reorganised into a limited stock company in 1997. In the same year, the company sought listings at the stock exchanges in Hong Kong and Shenzhen. one of 300 enterprises supported by the State Economic Committee. Being included is lists like these is more than just honourable. It is an indication that an enterprise has access to funds that are out of reach for others. It also means that an enterprise is more likely to obtain support from the government for ambitious plans. Yanjing received a foreign trade license, which allowed the company to directly engage in import export business without the use of a foreign trade company in March 1999. Yanjing exported its first batch of beer to the US in 2001. Export to Europe started in 2005. The main issue of this period is the expansion of Yanjing into various regions of China. Yanjing had been using the name Yanjing Group since 1993. However, the company really only consisted of one brewery, the old mother plant. The first expansion by acquisition took place in 1995, when Yanjing took over the bankrupt Huasi Brewery. Huasi was also based in Shunyi and included capital from a Hong Kong investor. Very little is known about the background of this company, but according to Yanjing’s historians it was located right on Yanjing’s doorstep. After Huasi was acquired, it was quickly consolidated into Yanjing. During the following years, Yanjing acquired a considerable number of breweries in various parts of China. The following table lists the acquisitions in historical order. 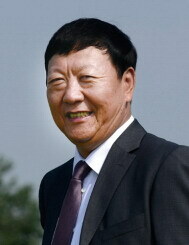 Yanjing has never stated to have a specific strategy as to the order of regions in which it intended to become active. However, there seems to be a certain pattern in the above list. During the first 1.5 years of its acquisition spree, Yanjing developed into South Central provinces: Jiangxi, Hubei and Hunan. During the following 1.5 years, the company aimed its acquisition activities on the Northern coastal province of Shandong and Inner Mongolia, both quite close to its own home region. The period that seems to emerge then is a two-year period in which Yanjing penetrated to very South and the Southern coast. A second pattern that can be extracted from Yanjing’s acquisition list, seems to corroborate this hypothesis: Yanjing’s acquisitions are never located in provincial capitals, but always in second echelon cities in their respective regions. Just as Yanjing did not select China’s poorest regions, the company also stayed out of the poorest provincial towns. Cities like Ji’an and Ganzhou in Jiangxi are industrial centres in their home province. In October 2003, Yanjing established a South China Office, replacing the management office for non-Beijing subsidiaries. Following the same line of analysis, we can conclude that this decision indicates a change in the geographical perception among Yanjing’s management. I will spend the entire section 6.4 on the significance of ‘the South’ in Yanjing’s identity constructs. Here, I will concentration on the important symbolic feature of establishing such a South China Office, as it indicated that Yanjing was shifting from a Beijing identity to a China identity. It was becoming a truly national company. While the term ‘outer prefecture management company’ still had a strong Beijing flavour, the term South China Office implicated that Yanjing in the sense of the mother company was cognitively located in North China, and no longer in Beijing. This analysis is corroborated by the fact that the non-Beijing subsidiaries were good for more than 57% of Yanjing’s turnover of 2003. Yanjing’s largest acquisition was the 31.8% state share in the Huiquan Brewing Co., Ltd. 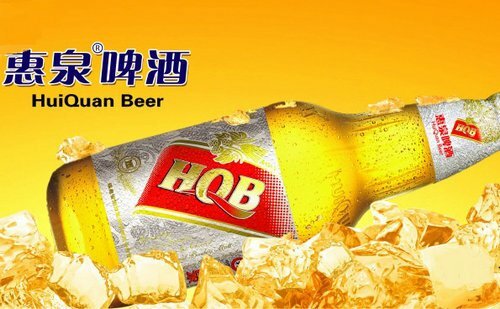 Although Huiquan at that time was not performing well, it ranked in size among China’s top breweries. Huiquan generated a turnover of RMB 760 million. The brewery was reorganized from a state-owned production plant to a limited stock company in 1997, with the State retaining a minority share. Following this reorganization, Huiquan sought to attract more capital by a public listing. This proved to be a bad move, on the eve of the Asian financial crisis. The take-over was celebrated with a ceremony in the Great Hall of the People. Yanjing was celebrated as the saviour of the state’s assets. The was yet another event confirming the state-owned identity of Yanjing. Although it has never been confirmed, this official state level celebration seems to indicate that Yanjing was requested by the State to take over the financial burden of Heniquin. Years before, when Yanjing took over the almost bankrupt Huasi brewery, the company positioned itself as the protector of state assets against the encroaching foreign investors. When Huiquan became an ideal target for a take-over, the State seemed to prefer this to be done by a domestic rather than a foreign party. After the acquisition of the State’s share in Huiquan, Yanjing started buying up more shares of that company. It became the majority shareholder in March 2004 and Huiquan was consolidated into the Yanjing Group in July of that year. Yanjing’s expansion to the South is a crucial chapter in the company’s life. The original Shunyi Brewery was established with the idea to alleviate the need for beer among Beijing residents. This idea co-creates an identity of the existing breweries in the region, in particular Five Star and Beijing, of not being able to fulfil the local demand. Moreover, as the Shunyi Brewery would be operated as a state-owned enterprise, an approval from the State Planning Committee was required. This could explain that a Vice-Minister found it useful to visit the plant in 1981, even though it was a relatively small project of a county government. However, once such a visit has taken place, which involves considerable interaction between a number of parties (arranging the Vice-Minister’s security alone would be an enormous task). The Vice-Minister did more than just honouring the plant with a visit. He suggested to change the brand name from Shunyi Beer into Yanjing Beer. In Weick’s terms of retrospective sensemaking, the creation of Shunyi Beer as the brand name took place almost automatically. A brewery established in Shunyi was called Shunyi Brewery and its beer sold under the Shunyi brand. Even though we do not exactly know what triggered it, the suggestion to switch the county related name to a name linked to the municipality indicates a strongly heightened state of sensemaking. It again stands to reason that, as the new project was to supply beer to the thirsty citizens of Beijing, the brand name should be broader in geographic scope. However, just like the idea itself, this suggestion for Yanjing as the brand name (and a few years later as the company name) reinforced the negative identity of the existing local brewers, in particular Beijing Brewery. Suggesting Yanjing as the brand name was almost like saying that the new brewery would replace Beijing Brewery. It actually did; it is currently a subsidiary of Asahi. Visits by State Councillors in 1982 and 1986, further strengthened the ‘central authorities’ identity of Yanjing. Identity is a process, a product of social interaction. The behaviour of state leaders took place in interaction with local leaders of Shunyi county and later managers of Yanjing. The behaviour of the state leaders therefore affected the behaviour of the Yanjing related actors. The latter started acting as favourites of the central authorities, first in their interaction with the leaders, but then also in their interaction in other contexts. This explains why so many of the events of Yanjing were reported in media close to the central government, like the People’s Daily. Reporters of those media will tend to visit Yanjing to interview managers, who will therefore have more frequent interaction with the government-controlled media than other, ‘less important,’ competitors. Yanjing managers brainstorm about the importance of the South Chinese market, which makes the journalists report on Yanjing’s acquisition of a brewery in Ji’an is actually only the prelude to conquering the South. These reports will play a role in the strategic sensemaking of Yanjing managers and the mothers-in-law of Yanjing, etc. In the midst of all this interacting (= sensemaking = organizing), Yanjing was also designated as the beer to be served during state banquets in the Great Hall of the People. By the time Yanjing made its first acquisition outside the Beijing region, it was included in a context in which it was made sense of as a strong symbol of the central government, a protector of the national industry, etc. The behaviour of Yanjing, a number of central government organizations, the centrally controlled media, etc., was tightly coupled. When analysing Yanjing’s expansion activities, the notion ‘South’ seems to play a major role. Although Yanjing has never made explicit statements regarding the order of regions in which it acquired new subsidiaries, the company spent the first 1,5 years of its acquisition spree on buying up breweries in the South-Central provinces: Jiangxi, Hubei and Hunan. After a second 1.5-year period in which Yanjing expanding to regions closer to its home region, another move to the South started, including Guangxi, Zhejiang and Fujian. The division of China into two major regions North and South is very old. Allusions to it can be found in ancient works of literature. The division is not only a geographic one. An imaginary border, often localized in the Yangtze River, has been perceived to divide the people in the North from those in the South. The people in the North are struggling with the harsh continental climate, constantly threatened from invading barbarians. They are, on the other hand, the speakers of Mandarin and most Chinese imperial families have been of Northern descent, while some of them actually were barbarians, including the last dynasty, the Qing. The staple of the Northerners is wheat. The Southerners live a milder climate, although Northern officials often did not appreciate a post as local magistrate in the South, complaining about the hot and humid summers. The Southerners grow and eat rice. They speak many, mutually not intelligible dialects. Although also mainly farming, many of them have switched working the soil for trading. Most Chinese that ventured emigrating to start a new life abroad were Southerners. That most Chinese imperial families originated from the Northern half of China and that the various capitals of the Chinese empire have mostly been located in that area has probably been a product of a number or causes. First of all, Chinese civilization, based on archaeological findings, started in the North(west). Then, during the ages, most threats to that Chinese civilization had come from the North. The Northerners had to take the first blows, but by doing so also became the rules of China. In terms of organizing processes, the recurrent behaviour of the Northern Chinese as the protectors of the nation constructed an environment in which the dynastic families were typically Northerners. Moreover, this also explains the continental inclination of most Chinese dynasties, with a high regard for the tilling of the land, but with a dread for sailing out to the sea; a fear re-enacted by the Communist rulers until the 1980s. The Northerners thus were the rulers and the Southerners the ruled. However, the Southerners have learned how to live a life of their own without too much interference by the rulers (the federalist tendency in Chinese culture introduce in the beginning of this chapter). The rulers through the ages have realized that and, in turn, have devised ways to maintain a basic level of control in the South, without antagonizing the Southerners too much. One typical way for the Emperor to establish his influence in a faraway region that was (reported to be) rebellious was the special envoy, who was given the Emperor’s sword as a token that he enjoyed the undivided trust of the Emperor. Such an envoy could decide over life and death. Yanjing’s decision to establish South China Office in October 2003 can be interpreted as a continuation of this tradition. By that time, Yanjing was operating breweries in nine administrative regions of China, equally divided over the North and the South. However, the company’s head office was located in the capital, as was the Forbidden City in imperial times. It seems as if Yanjing, steeped in Northern culture, felt that it could operate the Northern subsidiaries sufficiently from Beijing, but that those in the South needed to have an office of their own. This would give the Southerners the feeling that they were to a certain extent in charge of their own affairs. I have already pointed out that Yanjing has so far not been reaching out to a number of regions, including the very North of China. The very South, on the other hand, in particular the rich province of Guangdong, is frequently mentioned as a major objective. However, instead of directly acquiring a suitable brewery in that province, Yanjing attempted to attack Guangdong by means of a siege from its neighbouring provinces first. Yanjing’s first acquisition outside the Beijing region, in Jiangxi’s Ji’an, was directly linked to a move South by Chinese analysts. A commentator in the Market Daily described the deal in Ji’an as a guarantee and condition for increasing market share in the South. He then continues by stating that it is ‘actually nothing more than a prelude to Yanjing conquering of the entire Chinese market.’ This statement shows remarkable insight in Yanjing’s strategy. When this article was published, Yanjing had only acquired two breweries outside the Beijing area. It seems that this reporter was being used as a mouthpiece of Yanjing’s management. The Market Daily is a publication of the People’s Daily, the national newspaper published by the Communist Party. Further in the article, Yanjing’s Vice-Party Secretary is cited as the main source of the ‘news’ published in this article. In a Chinese context, it is easy enough to perceive Yanjing as the tool of the central authorities in Beijing. Yanjing was served at the official State Banquets in the Great Hall of the People; it was the new Emperor’s favoured brew. The role of Yanjing as the Party’s envoy to the South is then only one step away, the sword being traded for a bag of money. Another analyst more directly related Yanjing’s acquisition activities in the South as aimed at Guangdong. In this article, Yanjing’s subsidiaries in Ji’an (Jiangxi), Hengyang (Hunan), Guilin (Guangxi) and Hui’an (Fujian) are grouped together as each taking care of part of the Guangdong market, apart from their respective home regions. It reports that a Vice-General Manager of Yanjing has spent the period of December 2002 to March 2003 to forge this circle of breweries into a chain around Guangdong. This Vice-General Manager is referred to as ‘holding a flying office’ (feixing bangong), yet another expression that seems to allude to the office of special envoy of the emperor; who has traded the traditional horse for a modern plane. The same article reports that Yanjing had been shopping around in Guangdong and has held negotiations with the Qiangli Brewery in Sanshui (near the border with Hong Kong) and the Doumen Brewery in Zhuhai (near the border with Macao). 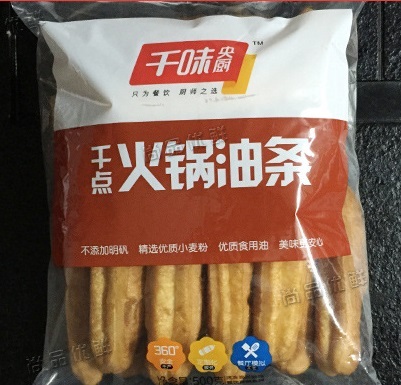 The talks with Qiangli failed, because Qiangli insisted on continuing the Qiangli brand, that was not performing very well at that time, while Yanjing did not want to link its strong brand name with one with a bad reputation. The reason for not acquiring Doumen was not given, but the article cites a Yanjing spokesman stating that the company was not considering an acquisition in Guangdong anymore, because the exorbitant price required by any Guangdong brewery exceeded the cost of a greenfield plant. During the time that Yanjing was preparing itself for the attack of Guangdong, a peculiar incident occurred in Nanchang, the capital of Jiangxi. Late February 2003, a number of unidentified people purchased 400,000 bottles of Yanjing beer at more than 3600 retail outlets in Nanchang. Some of the offered a price higher than the actual retail price, while others offered to trade one bottle of freshly produced Yanjing beer for three bottles of Nanchang beer dating November 2002. Reporters investigating this matter found an abandoned warehouse with approximately 100,000 bottles of Yanjing beer piled up. The incident was never further reported, but after the short article appeared in a local paper, it was also published in Guangzhou (Guangzhou Evening News 2003) and even the national People’s Daily. Especially the latter fact seems to corroborate once more that even such a, seemingly, minor incident is a matter worth reporting in the ‘throat and tongue of the Party’ (dang de houshe; a slang term for the People’s Daily). This incident indicates that, although Yanjing had already been active in the region for more than two years, it had not yet been accepted as a local beer. Regardless whether the ‘raid’ on Yanjing beer in Nanchang was an initiative of the local brewer of Nanchang beer, or that it was an act of local popular protest, the offer to substitute one bottle of recently brewed Yanjing beer for three bottles of the local brew that had been produced four months earlier is highly symbolic. Even though the campaign was apparently directed against Yanjing, the attackers subconsciously still attached a higher value to Yanjing than to their local Nanchang beer; three time higher to be precise. The alternative deal, offering a price higher than the regular retail price, has a similar symbolic value. This incident also fits in with the identity of Yanjing as the envoy of Beijing, the central government, the Communist Party, etc. In the old days, the imperial envoys, in spite of the power invested in them by the Emperor himself, had to deal with suspicion and even downright display of dislike from the local people, including the local gentry. We should never forget the enormous symbolic power of the Yanjing brand. As Yanjing is a literary equivalent of Beijing, protest against Yanjing can be likened with protest against Beijing, and from there everything ‘Beijing’ stands for. I will revert to this mechanism in the final chapter, in which I will integrate the findings of the case chapters with the theoretical framework laid out in chapters 1 and 2. Then finally, still unexpected, Yanjing decided to build a brewery in Guangdong after all. Beijing Yanjing Brewing Co., Ltd and Beijing (Industrial) Brewing Co., Ltd., two Beijing based daughter companies of the Yanjing Group, had entered into a joint venture in December 2004 to jointly build the Guangdong Yanjing Brewing Co., Ltd. The location selected was the Nanhai District of Foshan, a city close to Guangzhou, the capital Guangdong. 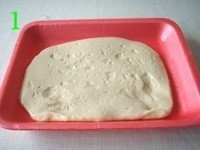 The objective was to start production in June 2005. Yanjing still did not have its own production facilities in Guangdong, which was a burden for the mother company in Beijing, as it had to ship the Yanjing beer all the way to Guangdong. The latter is the most intriguing of the three. 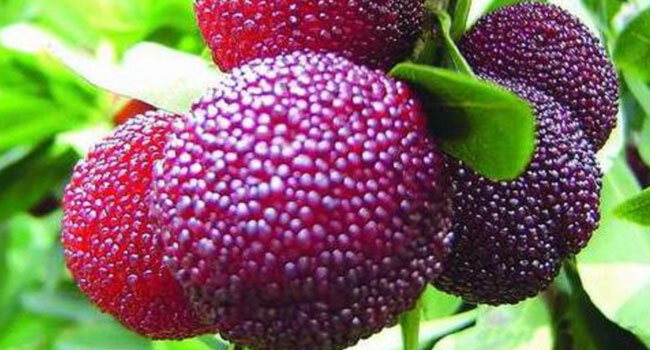 While Yanjing had been carefully laying a chain of breweries in adjacent provinces to attach the Guangdong market from four sides, now the establishment of a brewery of its own in the region was motivated as a means to lighten the burden of the mother plant. It seems as if the consumers in Guangdong had never really accepted ‘Yanjing beer’ that was not produced by the real Yanjing (the one in Beijing). While the acquisition of Huiquan was even celebrated by a party in the Great Hall of the People, yet another act that constructed the ‘central government’ identity of Yanjing, it was never able to penetrate the Guangdong market as hoped. Major competitors of Yanjing on the other hand, in particular Qingdao, were more successful in this region through local subsidiaries. Actually, Qingdao acquired Doumen, after Yanjing broke off its negotiations with that brewery. Apparently, Guangdong consumers do accept beer from other regions, but only if it is produced by the mother company or brewed in their own home province. Yanjing then realized what it had exclaimed in despair a couple of years before: it is cheaper to build a Greenfield plant in Guangdong than to acquire an existing one. With a brewery in Guangdong on the way, Yanjing now seems to have ended its journey to the South. Yanjing = Beijing = the central government rules in the South, be it through an entity with a Southern identity. Yanjing Brewing has generated a turnover of RMB 3.28 bln in the first quarter of 2018; up 3.35%.